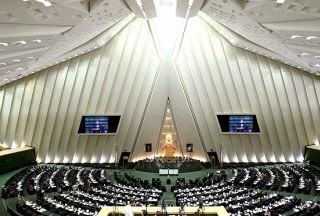 Iranian lawmakers today approved nominations of two of the three remaining cabinet posts. They confirmed Ali Asghar Fani as education minister and Reza Faraji Dana as science, research and technology minister. The Majlis, however, rejected a close ally of President Hassan Rouhani to become minister of sports and youth. 141 deputies out of 261 present today voted against the nomination of Reza Salehi Amiri. Opponents said Salehi Amiri lacked experience for the post and had a role in the 2009 Green Movement. He served as a member of Rouhani’s campaign in this year’s presidential election. yeah, Rouhani sure has a free hand. yeah, sure.